This section discusses the clothes worn by Victorian and Edwardian babies and children, both boys and girls. 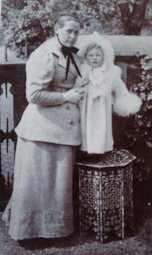 Babies wore long dresses trimmed with lace, perhaps with smocking and ribbons, and an elaborate bonnet when in public. The grandest dresses might be over a metre long, with lace decoration. Once the child began to crawl a shorter version was used; this was called 'short coating'. The child might be given a padded hat to protect his or her head from knocks. Outdoors, the baby was carried in a bassinet or perambulator from the 1860s and later reins were used as the child began to walk. 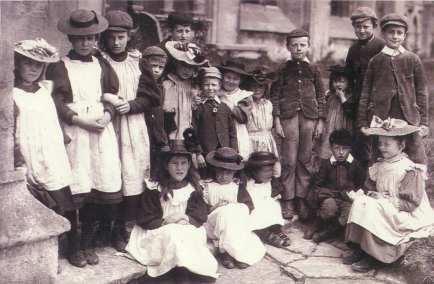 Pushchairs were available for older children. Clothing was warm; made from wool or flannel. Nappies were made from towelling. Heads were covered with bonnets. 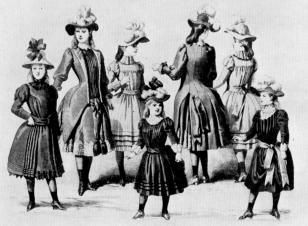 A girl might wear a petticoat, smocked dress, dark stockings with boots or shoes, and a wide-brimmed hat when out. At the age of 14, Constance now wears a corset. 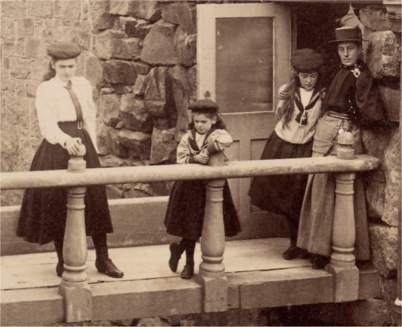 Her younger sister Ethel has her skirts to below the knee but Constance's skirts are longer though not yet as long as her mother's. Ethel's dresses have much lace and are hard to keep clean. She often wears a white pinafore to protect her them. Constance sometimes wears a sailor-style blouse. They both wear socks, shoes with an ankle strap when indoors, and buttoned boots outside. Both girls' hair is long, pulled back and tied with a ribbon at the back. Constance is beginning to wear her hair up, like that of her mother. 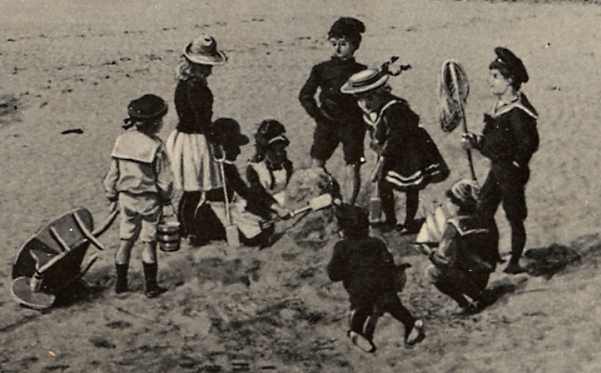 Most boys wore skirts until they reached the age of seven. As this age they were 'breeched'. Conrad wears breeches or short trousers with a tunic. With these, he wears a jacket, waistcoat and stiff collar like his father. Conrad sometimes wears his sailor suits in the summer, with a sailor hat when out. Conrad wears long socks and leather boots. When outdoors, he wears a cap. 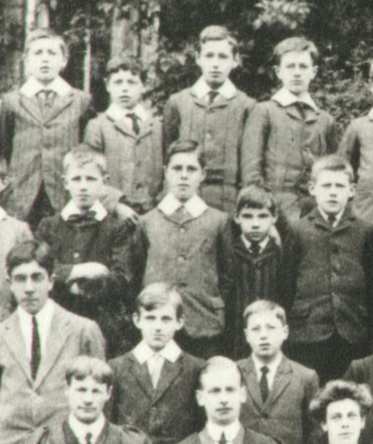 These schoolboys of 1909 all have jackets; most are high buttoned with a wide shirt collar but a few have a lounge suit style. All three children have coats for colder days.